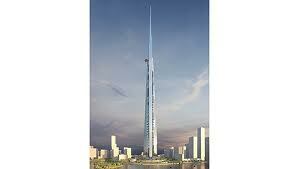 In a bit more than five years from now the world’s largest building will be completed in Jeddah, Saudi Arabia. 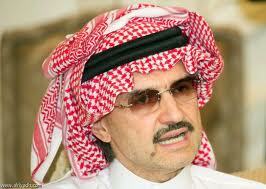 Prince Alwaleed has been the driving force pushing for the mega project, including originating the idea and deciding to build the giant tower. He announced that the Saudi Binladin Group will invest SR1.5 billion for a 16.63 percent stake in the project, which will be owned by the Jeddah Economic Company. The Kingdom Tower is slotted to be the central focal point of the project, which will begin with the Tower but finish with the completion of “Kingdom City Jeddah,” a new urban development on more than 5.3 million square meters of land overlooking the Red Sea and Obhur Creek just north of Jeddah. “The vision of constructing the tallest tower in the world in Jeddah belongs to Prince Alwaleed, who was closely involved in the selection of the scheme currently under design,” said Talal Al-Maiman, a board member of the Kingdom Holding Company and the Jeddah Economic Company, as well as the executive director of development and domestic investments. “We were impressed by the boldness and simplicity of the AS+GG design. Kingdom Tower’s height is remarkable, obviously, but the building’s iconic status will not depend solely on that aspect. Its form is brilliantly sculpted, making it quite simply the most beautiful building in the world of any height,” added Al-Maiman. “We intend Kingdom Tower to become both an economic engine and a proud symbol of the Kingdom’s economic and cultural stature in the world community,” commented Al-Maiman.